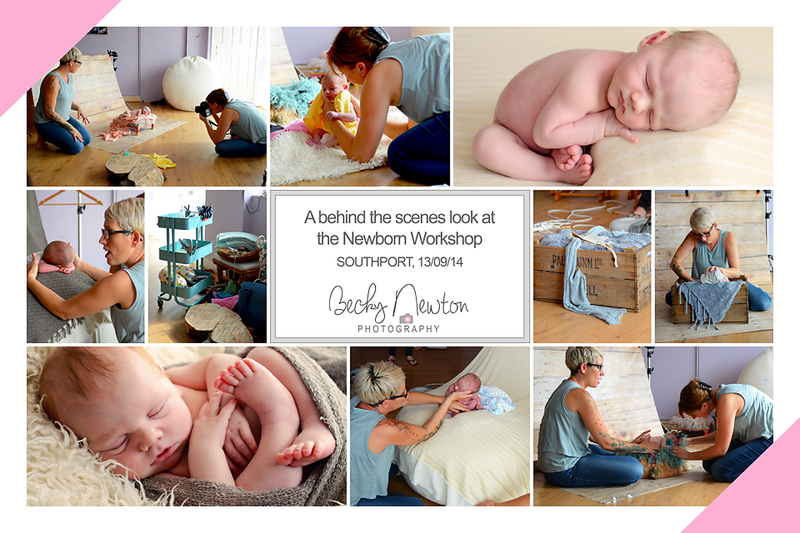 Back in September 2014 I arranged to attend a newborn workshop run by Maddy Rogers and Shellie Wall of The Newborn Workshops. They are two of the country’s top specialist photographers and their workshop is the only one recommended by BANPAS (other than their own) so I was really excited for the opportunity to learn from them. During the workshop the delegates got to photograph some gorgeous newborn babies in some beautiful setups. Safety was the most important topic of the day – a parent is going to be entrusting the photographer with their precious baby when they come for a photo session, so the photographer needs to be sure that they can pose and settle them in a safe, comfortable way. We also touched on other important subjects including newborn sleep cycles, the best equipment and marketing strategies, and overall it was an extremely useful day which I would highly recommend to any photographers wanting to get started photographing newborns. Here’s a behind the scenes look at what went on during the day – please note that all images were taken by me, but the babies were posed by the trainers.